Amazing Minnesota magician David Farr is available for corporate & private events in the Minneapolis St. Paul and surrounding areas of MN. If these companies can trust Minneapolis magician David Farr to make their events amazing, so can you! David is Available for Corporate and Private Events in all 50 United States! Your Guests Won’t Remember the Food, the Music or the Decorations… They Will Remember the Entertainment! “Wish you could rate him with 6 stars as I can’t say enough about David. We hired him for a corporate event (40-50 people) AND for a separate fundraiser event for a Foundation my wife and I recently started (90-110 people) and he hit the ball out of the park! Not only are his magic tricks amazing (i.e. mind-blowing! ), he is such a great guy and very personable. Great jokes to boot…. and the crowd loved him. 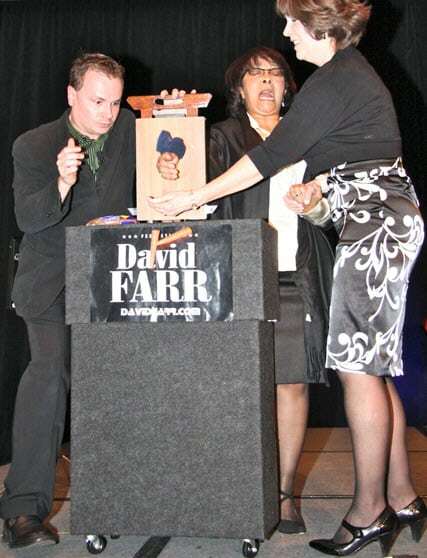 David Farr truly specializes in making your events amazingly successful, entertaining and fun. That’s all he does. 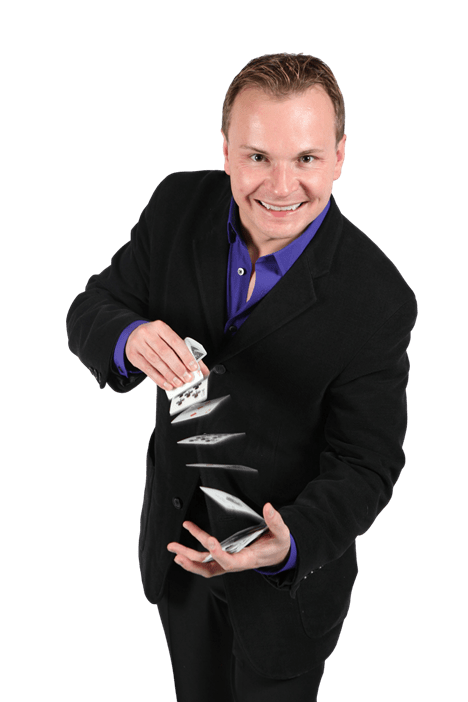 His interest in magic began at the age of ten and since then he has made a full-time living performing it specializing in entertainment for corporate dinner parties. David tailors his presentations to your guests using fun magic, clean comedy, audience interaction and a little bit of pick-pocketing. Your guests will enjoy the show and remember it for a LONG time because the presentation was created especially for them. All of this makes you look like a hero in front of your superiors/team members. Your group will be entertained by a wide range of magic that is backed by a total satisfaction, money-back guarantee. Other magicians & entertainers don’t dare offer a guarantee on their services but in over 30 years of performing, not one person has ever asked for their money back from David. One of the important factors in creating a really special event is to make sure that your guests start having fun right away…minutes after they arrive. You’ll be delighted as you hear the gasps of amazement and laughter as your guests are entertained with their own 5 to 7 minute shows which include super fun magic that happens in their own hands. This enchanting, fun, and intimate form of “walk around” entertainment is perfect for cocktail parties or as before dinner entertainment. It will leave the lasting impression you desire. These Are The Kinds of Memories That Your Guests Are Going To Remember Forever! Should this much fun be banned? “The After Dinner Show” is a 45 minute stage show that includes baffling demonstrations of magic and illusion, comedy, E.S.P., pick-pocketing, tons of audience interaction, plus… “Let’s Burn A Deal” An audience member signs her $100 dollar bill and places it inside an envelope to be mixed up with other envelopes. She picks one and the others a burnt to a crisp. She discovers that she has selected the wrong envelope and her money is burnt. This is funny to watch her reaction throughout the show. The signed bill reappears in the back of the room at the end of the performance to everyone’s amazement (and the woman’s delight). Is David Farr able to entertain people who don't speak English? Thankfully, magic is very universally appealing to all walks of life! Although your non-english speaking guests may not totally understand every funny joke David makes, they’ll still be thoroughly entertained and amazed by what they see! Yes, typically a 50% initial investment and signed agreement is required to reserve a date. The event is not fully booked with David until both of these items have been received. What do we need to provide you on our end? What is needed varies based on the type of entertainment being provided. 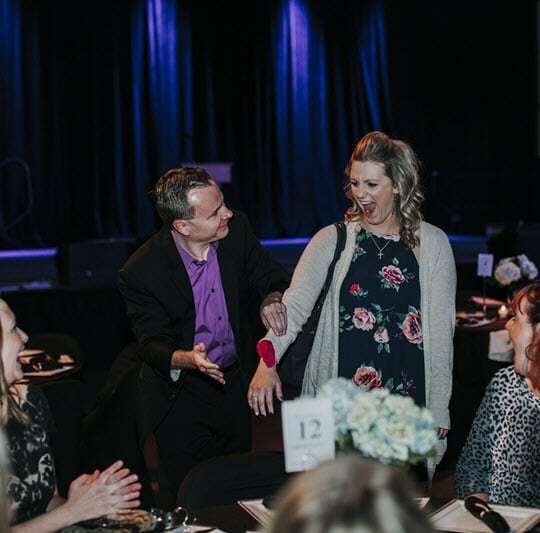 If you go with a strolling/close up magic package, where David is merely strolling through your event and entertaining the guests, there are virtually no additional requirements. Everything David needs he comes prepared with in his pockets ready to entertain when he arrives at the event. For the stage show packages, there are some important requirements that are needed in order for a successful performance. 1. 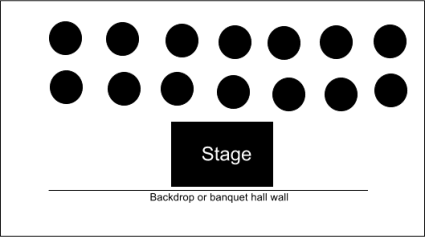 If David is the only performer with equipment on the stage (besides a podium), then we recommend a stage at least 12′ x 8′ and at least 6 inches off the floor. Depending on how high the stage is, stairs might also be required as there is fun audience participation throughout the performance. In cases where David’s equipment would be sharing the stage with other performer(s), a larger stage me be necessary or other special considerations. 2. In most cases, David will provide his own sound system unless it’s a performance that requires air travel. In this case, we’ll also need a professional sound system setup and monitored throughout the performance. The best type of mic is a headset mic known as a “country man”. It is wireless and hands free. We also need an an input for an iPod for sound effects. Once again, most of the time David provides his own professional sound system. Please keep in mind that you still may have AV needs yourself and still may want to ask your venue to provide a microphone to show a presentation, announce winners, give speeches, etc. 3. In regards to lighting, we have no specific needs but do recommend not having your event too dark because it becomes more difficult for your guests to experience the amazing magic when they are struggling to see what’s happening. Is David able to entertain while people are eating? Technically yes but we really don’t recommend it. By the nature of the entertainment, your guests participate in the magic and are often asked to help out. This is sometimes difficult when people are eating. And also it’s hard to “watch closely” when you’re enjoying dinner. This applies to all packages, strolling and stage shows. What size audiences can David entertain? David’s entertainment is best suited for small to medium size crowds. David entertains groups as intimate as 10 people all the way up to 500 guests in a ballroom. If you have a large group (200 or more), the use of projection screens makes the show even more enjoyable for your guests. Talk to your venue or contact a local audio/video company with questions to further explore that option. Download David’s Free Event Guide! 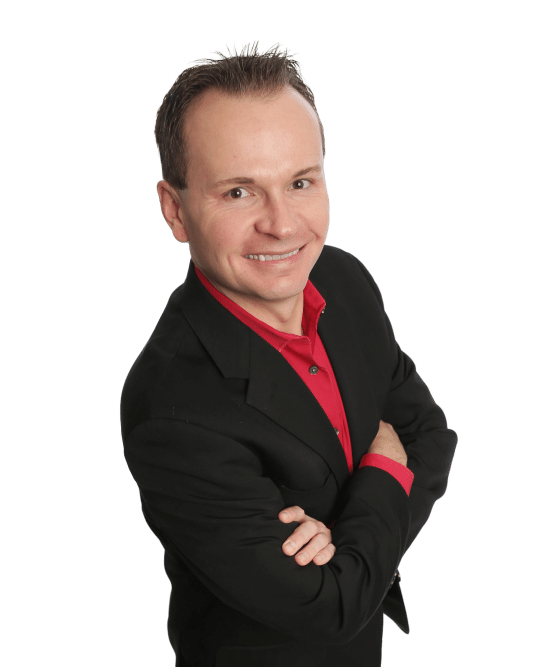 David gives you the tools to make your event a success! 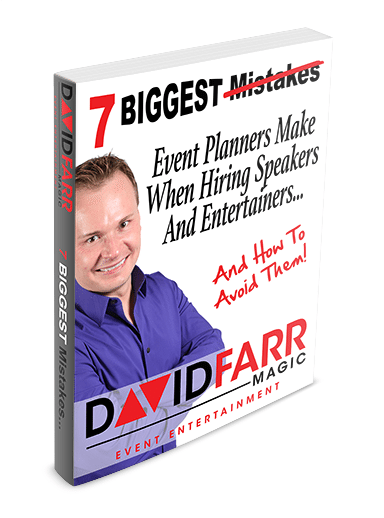 The 7 Biggest Mistakes Event Planners Make When Hiring Speakers And Entertainers… was written by Minneapolis magician David Farr. He shares his knowledge from performing at over 3000+ events and helps cut the learning curve to planning a successful special event. Find out what works and what doesn’t work, how to avoid costly mistakes and learn how to make your boss go WOW! Download your FREE copy of David’s guide right now and learn the secrets other entertainers don’t want you to know. Download David's Free Event Guide! I give David Farr Direct permission to send me email about new products, services and special offers.